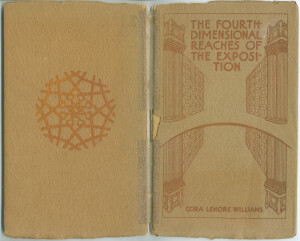 In The Fourth-Dimensional Reaches of the Exposition (1915), Cora Williams takes her stab at the mysteries of the fourth dimension, broadly invoking the monumental scale of the Panama-Pacific International Exposition’s fairgrounds. The human mind has so long followed its early cow-paths through the wilderness of sense that great hardihood is required even to suggest that there may be other and better ways of traversing the empirical common. So it is that the fear of being proclaimed a Brazenhead has restrained me until this eleventh hour from telling of my discoveries concerning the fourth-dimensional reaches of our Exposition. While many books have been written descriptive of the Exposition, none has succeeded in accounting completely for the joy we have in yonder miracle of beauty. … There is still a subtle something not spatialized for consciousness. Length, breadth, and height do not suffice to set forth the ways of our delight in it. … Obviously to give it extension we shall have to ascribe to reality other dimensions than those of our present sense-realm. … Although the scientist has found it useful on occasion to postulate the fourth dimension, he has not thought necessary as yet to put it in the category of reality; much less has the layman. All we need in order to come to a fourth-dimensional consciousness, said Henri Poincaré, is a new table of distribution … a breaking up of old associations of ideas and the forming of new relations. … Lester Ward speculates that life remained aquatic for the vast periods that paleontology would indicate; Cambrian, Silurian, Devonian and Carboniferous—a duration greater than all subsequent time. Life was not able to maintain itself on land until it had overcome this one-dimensional limitation. … A venturesome Pterodactyl was who first essayed to make his way among the many obstructions to be found ashore! By what intuition was he impelled? 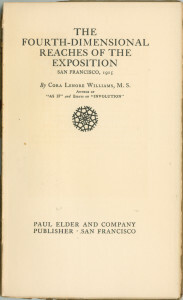 The Panama-Pacific International Exposition is best seen in its fourth-dimensional aspect when approached through the Gateway of Memory. This is what one might expect, for that entrance alone has the requisite geometrical structure. You will recall having head, I am sure, how in the fourth dimension a person may go in and out of a locked room at his pleasure with bolts and bars untouched. Broad and open as is this Gate of Memory, when you pass its portals the wall closes behind you; there is no visible opening to mark the spot of your entry. A feeling of detachment comes over you. This is augmented by the burst of light and color that flashes across the field of your vision, and for the first time you understand the purport of those ‘banners yellow, glorious, golden’ which ‘do float and flow.’ They seem to bear you on breezes of their own creating to the freedom of outer spaces. What you had taken for the flauntings of festivity are become the heralds of hyperspace. 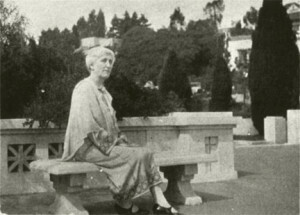 Cora Williams at her school in the Berkeley hills, as pictured in the 1930 Spiral yearbook. 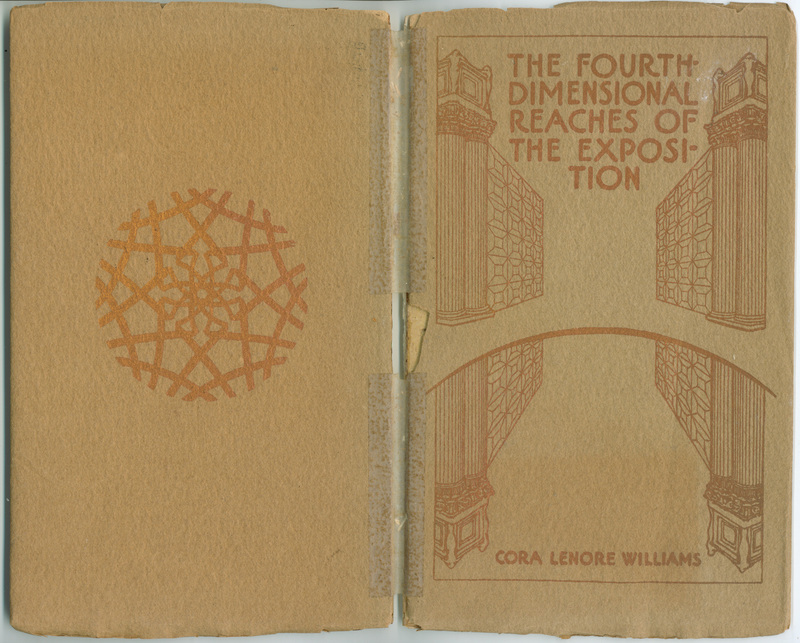 During her lifetime, Cora Lenore Williams (1865-1937) was known primarily as an educator. In 1917 she acquired the John Hopkins Spring mansion in Berkeley, which she turned into the Institute for Creative Development (later Cora Williams Institute), a fancy school specializing in languages, poetry, music, and literature. 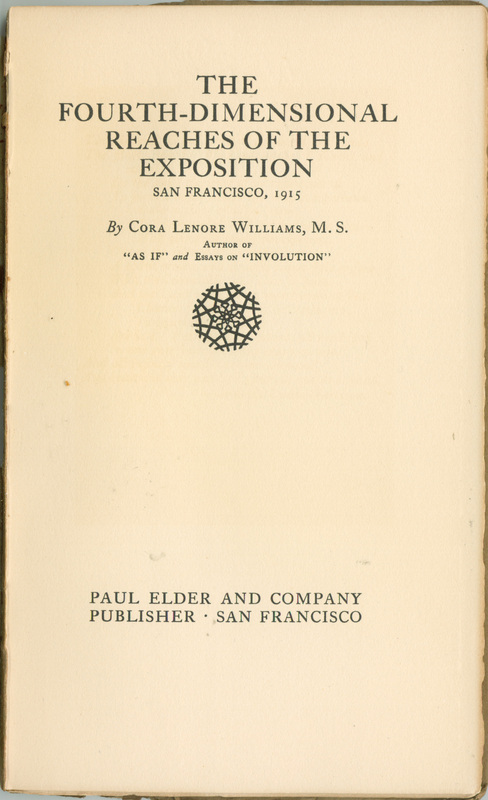 Williams also wrote one other book for Paul Elder, As If (1914). Gertrude Partington Albright (1874-1959) was born in Heysham, England and received artistic training from her father, the artist John H.E. Partington. Her family moved to San Francisco, California in 1880. She returned to Europe to study at the Academie Delecluse, and later opened a studio at 220 Post Street where she did her painting and printmaking. She married artist Herman Oiver Albright in 1917 and joined the faculty at the California School of Fine Arts where she taught until her retirement in 1946. She exhibited at the Salon International des Beaux Arts, Carnegie Institute, Corcoran Gallery and the 1915 Panama Pacific Exhibition where she was awarded a bronze medal for painting. 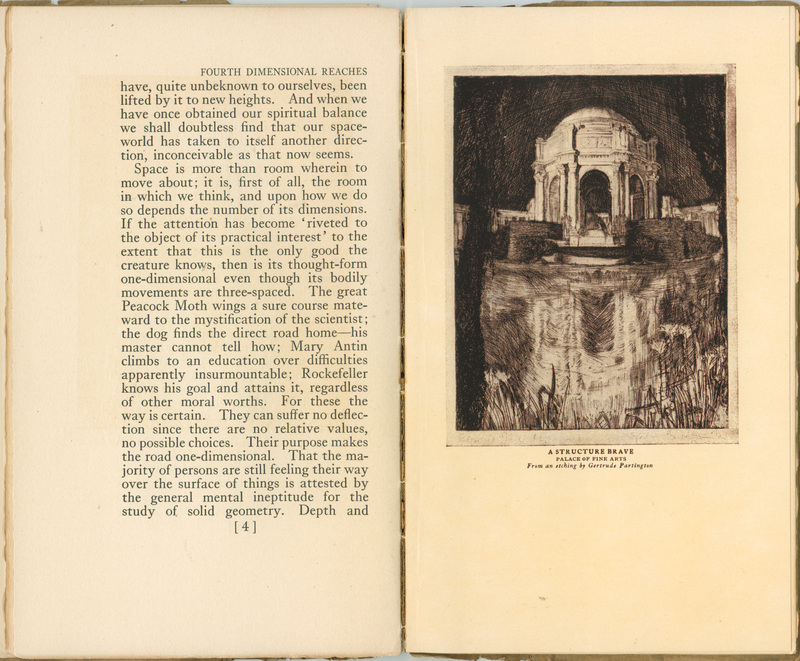 Ormeida Curtis Harrison (1875–1947) was a poet and assistant principal at the A-to-Zed school in Berkeley. She was second wife of author and naturalist Charles Keeler. 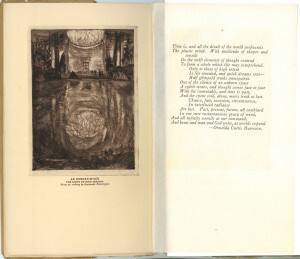 Her poem “Time Is” appears on the tissue guard between the title page and frontispiece.